All of the coverage referenced an Associated Press article that got tremendous play in October 2013, predicting that “salsa overtaking ketchup as America’s No. 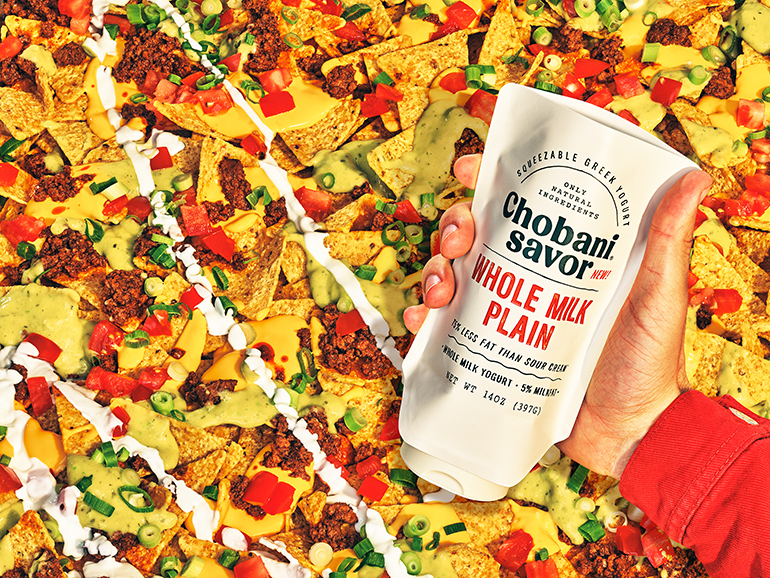 1 condiment was just the start.” Taking a look at the condiment market today certainly bears out the prediction that a shakeup was occurring — and far beyond just salsa. 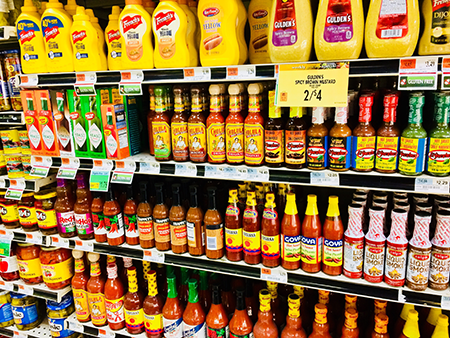 Today’s condiment category ranges from traditional staples like mustard and ketchup (still very much in the game), salad dressings and mayonnaise to more innovative flavor options like salsa and Sriracha, soy sauce, varieties of hot sauce, healthful and organic products, vegan and on and on. The table and cooking sauces segment dominates the sauces, dressings and condiments market in the U.S. because of the high demand for products exhibiting international and spicy qualities, according to market research firm Technavio in its report, “Sauces, Dressings, and Condiments Market in the US 2017-2021.” The growth of these products can be attributed to the increasing consumption of international and regional sauces, dressings and condiments compared with regular American table sauces, such as mustard, ketchup and mayonnaise, by the diverse population, which includes Asians and Hispanics. Consumer demand for these products and the flavors they impart helped the market for condiments and sauces reach $24 billion in 2016, according to data from Packaged Facts. Market growth in 2016 marked an annual rate of more than 2% over the preceding five years. Comparable — if not slightly lower — sales growth is anticipated year-over-year through 2021 despite challenges to the industry due to the widespread shift toward healthier living. In fact, that move to better-for-you may provide an opportunity in the condiment market. Marketing products as certified organic or carrying “free-from” labels has become part of several trends that will help keep sauces and condiments popular with a range of influential consumers, said Sprinkle, including Baby Boomers, Millennials, Hispanics and African Americans. City Fresh knows firsthand about the impact of changing demographics on store selection and store categories like condiments that are sensitive to that. Earlier this year it opened its latest store in the heart of Spanish Harlem, Manhattan’s most recent neighborhood undergoing rapid growth and development. According to the New York-based Specialty Food Association (SFA), specialty condiments — which include international, innovative and unique, new flavors — account for about 20% of all condiment sales. The category grew by 16% since 2013 and is expected to grow another 19% by 2022. Refrigerated is trending in condiments: Consumers equate that with fresh and that is what they are seeking. Specialty refrigerated condiments grew almost 17% between 2015 and 2017. They were also up 19 percent in unit sales versus specialty shelf-stable condiments, which increased 2%. 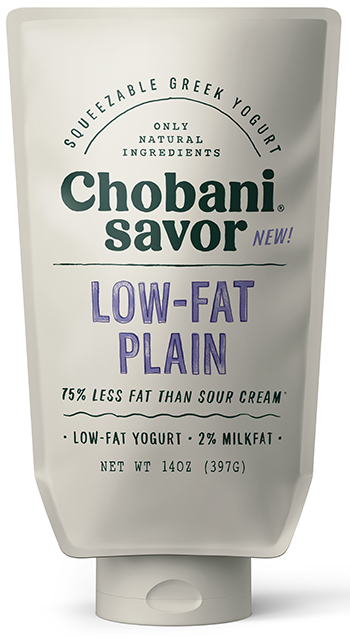 Chobani Savor’s 14-ounce squeezable packages are intended to position Greek yogurt as a condiment or topping, like sour cream. It’s available in both low-fat (2% milk fat) and whole-milk (5% milk fat) varieties. Heinz Mayochup, the blend of Heinz Ketchup and Heinz Mayonnaise, is rolling out in the United States this year to great media attention. Currently the company is running a social media campaign asking the public what the new product should be called — or if it should just stay Mayochup.